Conor Bergin | The Phoenix The Ramblers celebrate winning the 2018 MVC tournament. 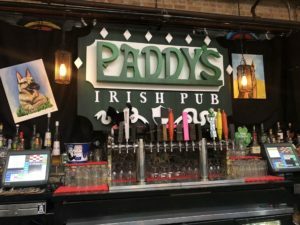 The Loyola men’s basketball team (28-5, 15-3) will take on the University of Miami (Fla.) in Dallas, Texas March 15 to open the NCAA Tournament, the NCAA announced Sunday afternoon. Loyola will be a No. 11 seed and Miami will be a No. 6 seed. This is the Ramblers’ first trip to the big dance since they made the Sweet Sixteen in 1985. After Loyola’s opponent was announced, head coach Porter Moser said he enjoyed following the different bracket projections leading up to Selection Sunday and thought getting the No. 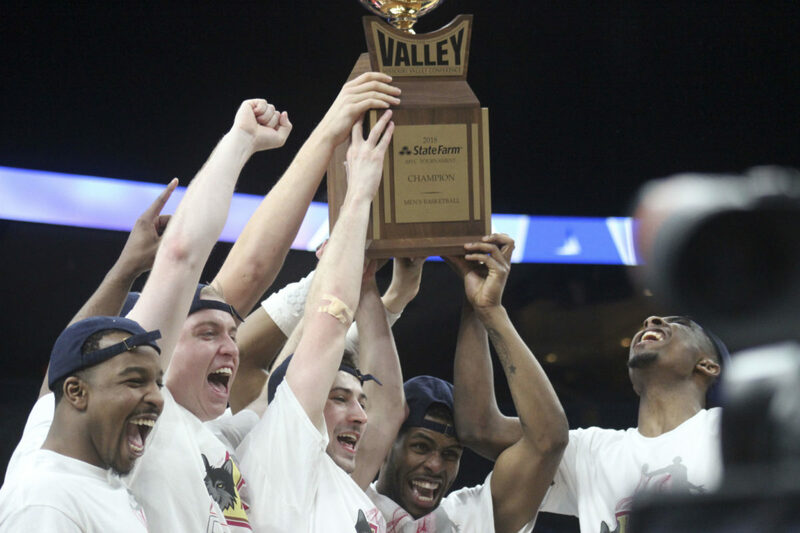 11 seed was a testament to the success of the Missouri Valley Conference this season. Loyola Athletics Director Steve Watson played college basketball for Miami head coach Jim Larranaga from 1988-90 while at Bowling Green State University. Watson said it’ll be exciting to see his former coach again, but he’s more focused on watching Loyola play. Miami went 22-9 overall and 11-3 in Atlantic Coast Conference play during the regular season. The Hurricanes were led in scoring by seven players averaging at least 8.5 ppg. First-year guard Lonnie Walker IV led the way with 11.4 ppg. Loyola and Miami are scheduled to square off March 15 in Dallas to open the NCAA Tournament.